We are wired to be more receptive to things that are simple and easy. Our everyday life is fraught with instances where we respond more naturally to simplicity in everything. Our innate nature is to cut through the complexity and simplify things. At the same time, we are surrounded by great yet simple technology products that run on complex technology. Does it sound confusing? If you pause and think, it makes perfect sense. Although these products that we love so much are based on complex technology, they are designed in such a way that technology remains in the background while we use them to achieve our goals. Speaking of technology in education, we have some popular technology products and platforms that promise to deliver manifold benefits to educators. Some platforms or products like Learning Management Systems (LMS) have been there for a while and there are a few new ones that are changing the face of online education as we know it today. Learning Management Systems have a plethora of users across the world. Moodle is one such LMS which is popular among educators, colleges, and universities. While Moodle has evolved over the years and found many takers, it poses some serious challenges to user organisations and educators who want to quickly build their online presence with minimal effort and without any complexity. Some innovative educational solutions, such as WizIQ Online Academy are addressing these needs and helping organisations build a unique brand identity and deliver a holistic learning experience to their learners. Here are some reasons why an innovative solution, such as WizIQ Online Academy can offer great value to users by overcoming challenges posed by a traditional LMS like Moodle. Time to Market – In the fast-changing online education space, educators are experimenting with educational approaches and technology to find the right way of engaging learners. In this competitive space, the idea is to be online with the right solution as quickly as possible. Time to market or speed matters. You don’t want to be saddled with a solution like Moodle that takes a considerable amount of time to be installed and optimised according to specific teaching needs. You need a server or web hosting services provided by a third-party vendor to host and install Moodle, which is followed by a series of customisations. 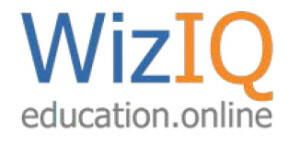 WizIQ Online Academy, on the other hand, enables to create your own online academy with a unique sub-domain of choice within minutes and get started with your teaching activities. You don’t need an IT team or experts to set it up for you. It’s pretty much a Do-it-yourself approach to quickly having a strong online presence with minimum effort. Ease of use – Moodle is far from an intuitive and easy-to-use solution. To fully utilise its potential, you need to either spend a lot of time understanding its in-built features or get trained on the system before you can sail smoothly. The user interface is not intuitive and re- quires customisations before if it can be user-friendly. WizIQ Online Academy has ease-of-use as one of its biggest strengths. Right from setting up your Online Academy to conducting teaching or learning activities, everything can be done quickly with least possible effort and without any assistance. The simple and intuitive design ensures that even an uninitiated or first-time user can become an expert user within a short time. Using WizIQ Online Academy is a no-brainer. Affordable – There’s more to it than meets the eye. While Moodle is an opensource LMS which is available for free,you need to make a sizeable investment before you can bring it to a level that is acceptable to you and your learners. The additional costs of hosting, integration with third-party applications, and customisations leave you with a “Free LMS” which is costlier than a paid, plug-and-play solution that gets you up and running within no time. With WizIQ Online Academy, the total cost of ownership (TCO) of your online academy is limited to your subscription plan. Online Academy offers flexible plans and pricing which allow both big and small user organisations to create their online academies without worrying about investing in expensive IT infrastructure and engaging an IT team to maintain it. Mobile – As more and more content is being consumed on mobile devices every day, mobile learning cannot be ignored any longer. The ease of use and accessibility are some of the reasons why it’s popular among learners. Educators need the right platform to get their content on mobile devices. Moodle has a mobile app, but there’s very little that you can do with it. There is no builtin functionality to access content. You are directed to Moodle’s website when you attempt to access content and there are no real-time notifications about important events. The user experience is broken with the Moodle app. WizIQ App allows learners to access content, attend live classes, and get real-time notifications, among others things. If you have any queries, write to ajayv@wiziq.com.